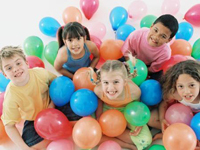 If you are planning a party for your kids you should look through our children's birthday party guide for CT. Find everything you could possibly need when you browse the in-depth party guide we have created for Connecticut. 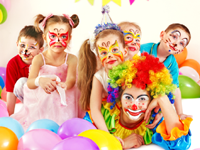 With so many options to choose from you can't go wrong when you have one of these Connecticut birthday party entertainers at your event. Take a look and decide who is best for you! 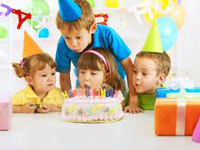 We compiled a list of the best Connecticut birthday party places to host your next event. No matter what type of venue you want we are here to help! 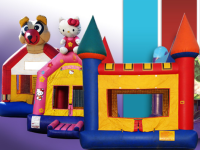 These kid party rentals provide the highest quality of entertainment and rental services in the industry. 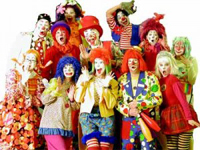 If you are looking for a professional, reliable team for your next upcoming party event, you've come to the right place! 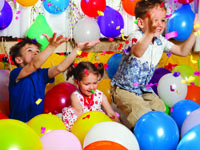 This guide lists every CT party planning service. Don't forget to look through this complete guide when you are planning your next party. We can help you find everything you may need. 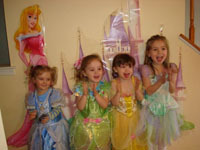 These venues in Connecticut are perfect to hold a party for young children of any age. This complete list will help you plan parties for any occasion. Just because your child has special needs doesn't mean that they shouldn't still have a great party at an awesome Connecticut venue. Look through this guide and you will find the perfect party place to suit your needs. From sweet sixteen's to Quinceaneras this guide is ready to help you plan for any special occasion you have coming up in Connecticut. Don't freak over the details, we got you covered! We put together a list of the best theme party places in Connecticut or you. No matter what theme you want, you will find it in this detailed guide.